Grab yourself a big mug—you’re about to indulge in the coziest, and easiest, pumpkin treat. A few weeks ago I shared my banana bread mug muffin, and you guys have been loving it! 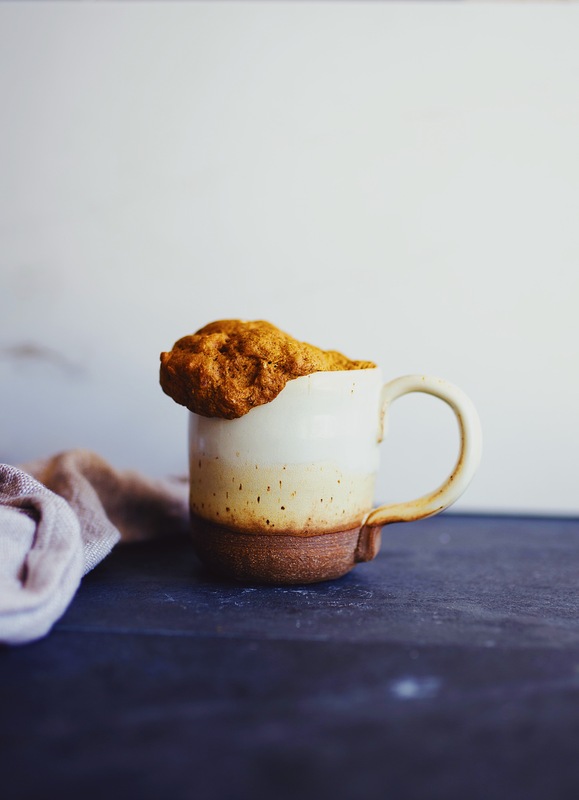 Tis the season for pumpkin and I’ve created the perfect new fall flavored mug cake for you all. 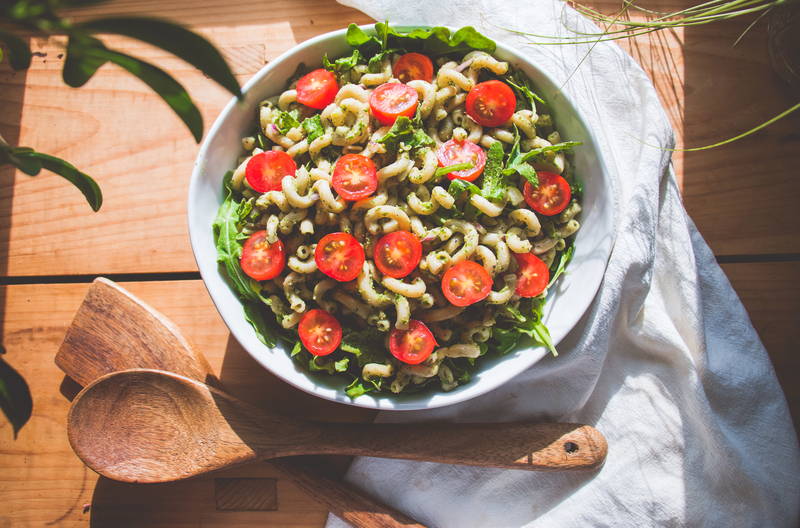 With only 8 simple ingredients and 5 minutes, you can have this delicious single-serve healthy cake ready in no time! 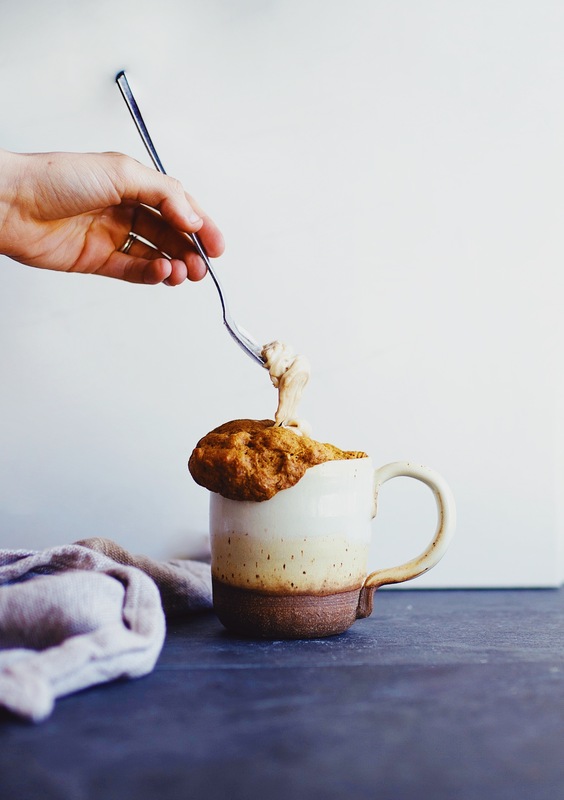 Let’s make a Pumpkin Mug Cake! Mug muffins are awesome breakfasts, snacks, or weeknight treats. 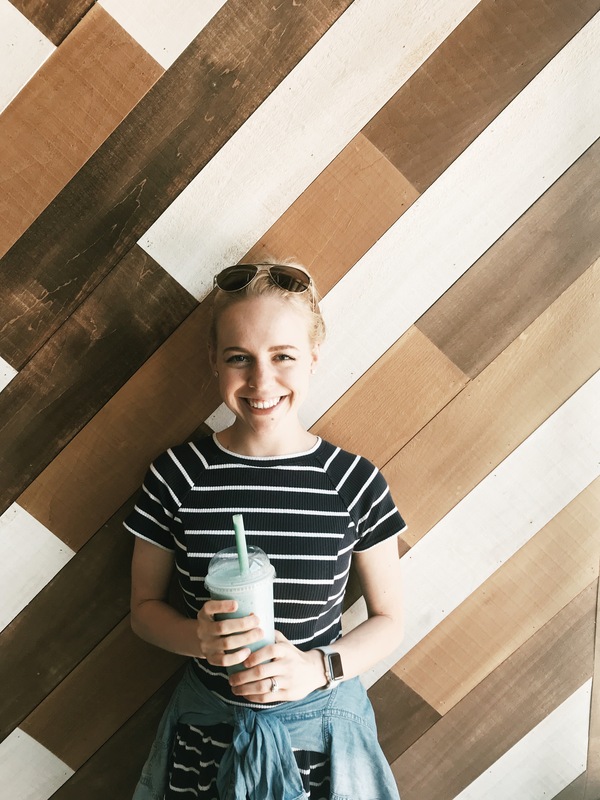 In the fall, my favorite way to start the morning is cozying up with a big cup of coffee and perfectly sweet pumpkin muffin. 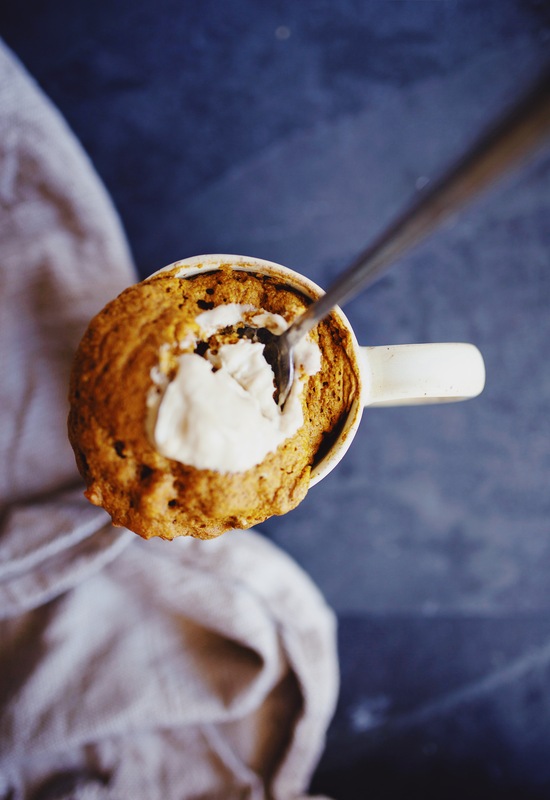 If you’ve got limited time in the morning and are wanting this experience—my pumpkin mug cake is the perfect solution. This recipe is made gluten free using oat flour, super moist with pumpkin puree, fall-flavored with pumpkin pie spice, creamy with nut butter, and naturally sweet with honey. 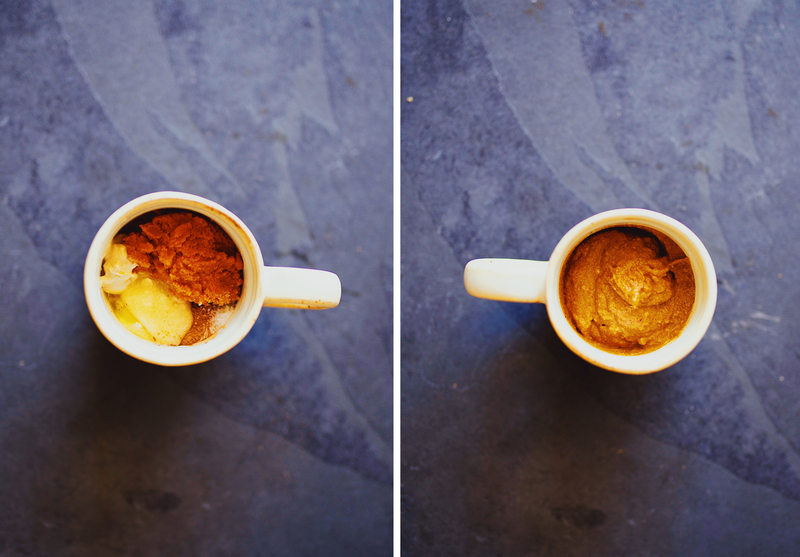 Friends, this mug cake is loaded with all the goods and you’re going to feel perfectly fueled after enjoying it. 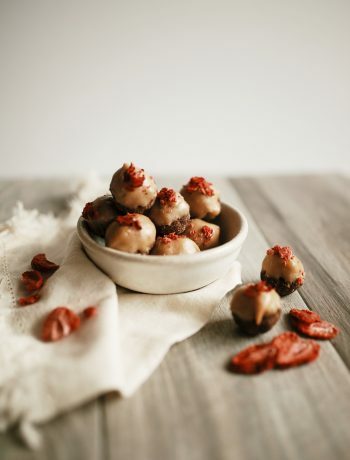 For more recipes like this, check out my banana bread mug muffin, gluten free pumpkin bread, gluten free zucchini bread muffins, or my sweet potato snack balls. 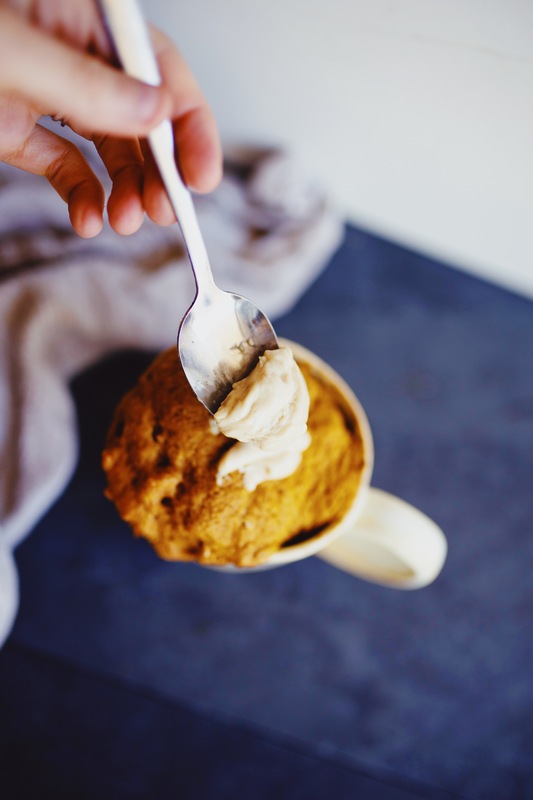 With only 8 simple ingredients and 5 minutes, you can have this delicious single-serve healthy pumpkin mug cake ready in no time! Carefully remove from microwave. 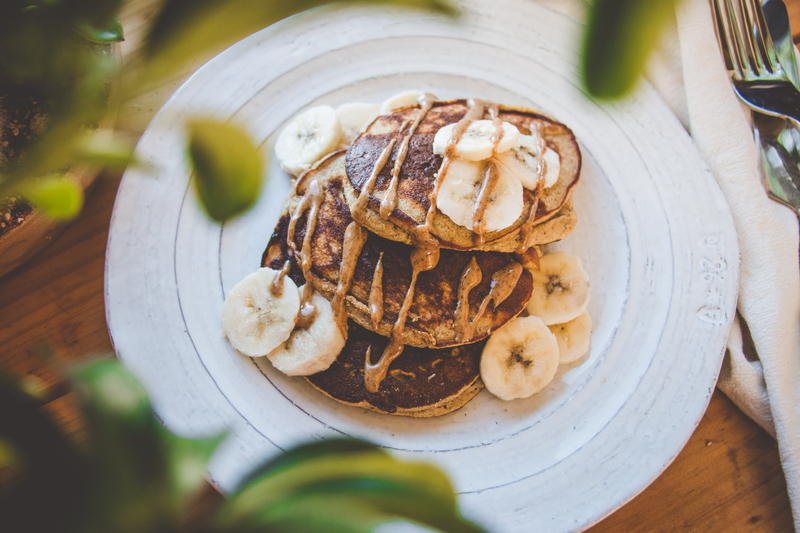 Top with extra nut butter and honey if desired.